i always forget how much i enjoy hand-lettering and typography. 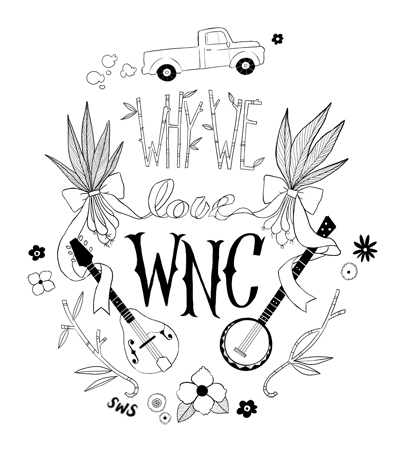 and this sketch for the potential cover of WNC magazine seemed like the perfect opportunity to rekindle that love. the issue focuses on western North Carolina pride (not to be confused with West Carolina).